Everything You Wanted to Know About Despacito — and More! “Despacito” has proven to be an amazing platform for Luis Fonsi, Daddy Yankee, Justin Bieber, reggaeton, and now … me. 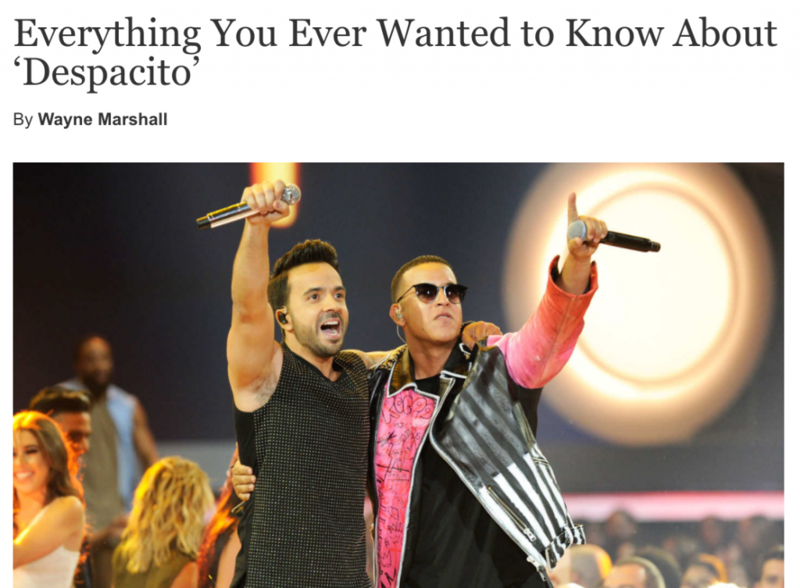 The song — indeed, the phenomenon — has proven an excellent vehicle for thinking about reggaeton, “tropical” pop, and pop culture in the age of YouTube — 3 things I obsess over — and so when I brag-plained on Twitter last week about how “Despacito” has impacted my inbox, it ironically resulted in being asked to write a big ol’ piece myself about the song for NY Mag‘s Vulture. It seemed like a great opportunity to bring together the different angles from which I’ve been listening and watching, so I jumped at the chance. While I’ve got you on the line — and while I’m here writing a rare blogpost — allow me to share a few related pieces. First, I want to remind readers that I’ve spilled many more words than 3500 here and there on reggaeton, and if you’re up for, say, 10k words on the history of the genre, you can consult my chapter in our book. Second, I’m happy to appear this week as an ethnomusicological expert bigging up Munchi and connecting dots between reggae, reggaeton, and Dutch house in the this piece in the Washington Post that attempts to size up the legacy of moombahton. 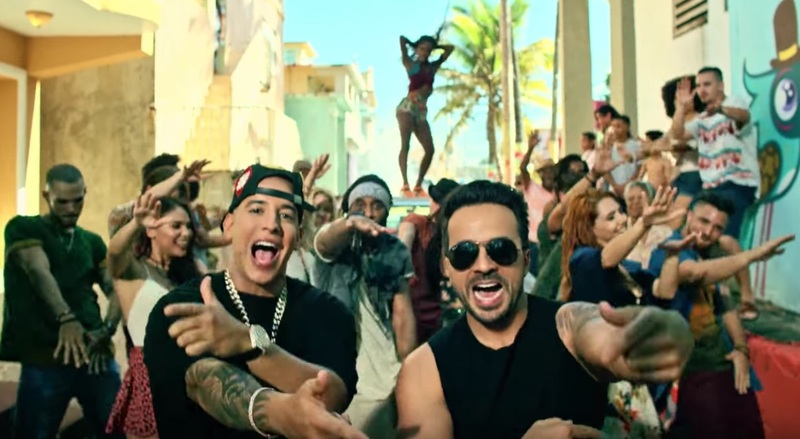 Third, as I discussed in the “Despacito” piece, the song features a common chord progression, theoretically allowing one to mix and mash it with any number of previous pop songs. To demonstrate this, I mashed it up with the Cranberries’ “Zombie,” mainly using the instrumental guitar passages from the latter. I was happily surprised by how good “Despacito” sounds with a little grungy guitar, and it was also striking how much their poppy dynamics complement each other, stylistic differences notwithstanding. This is an odd feature for a digital-age dance number, and while some have speculated that it is the magic key to the song, I think it’s more likely an “accident” resulting from the post-hoc splicing in of the Biebz.